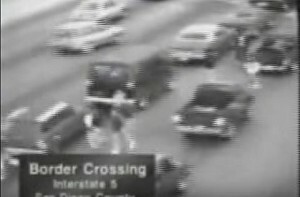 “They keep coming,” the advertisement’s narrator intoned, while the screen showed footage?of undocumented immigrants scurrying across a highway. 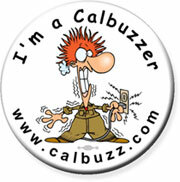 The year was 1994, and the ad was the centerpiece of California Republican Governor Pete Wilson’s re-election campaign. Trailing in the polls after a lackluster first term, Wilson resurrected his prospects by excoriating the Clinton administration for its presumed lack of border enforcement and by backing a ballot measure (Proposition 187) that would deny all public services, including the right to attend K-12 schools, to the undocumented. 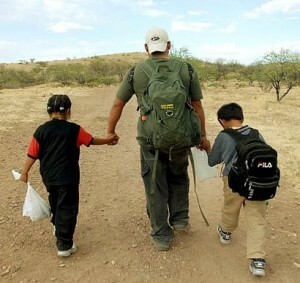 GOP Latino Outreach In 1996, Latinos began voting in far greater numbers, overwhelmingly for Democratic candidates; in time, as the GOP’s anti-immigrant crusades continued, they were joined by the state’s Asian voters as well. What had been a politically purple state at the time of Wilson’s re-election turned deepest blue. Today, Democrats hold nearly two-thirds of the seats in the legislature, represent more than 70 percent of the states congressional districts, and of the 56 regularly scheduled elections for statewide office that have been held since 1994 (for the eight statewide constitutional officers and the two U.S. senators), Republicans have won exactly one—Arnold Schwarzenegger’s 2002 gubernatorial bid. Wilson Replay In only slightly modified fashion, updated versions of Wilson’s ad began popping up on TV screens and social media this week. 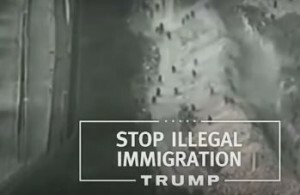 Donald Trump’s very first ad features a narrator proclaiming, “He’ll stop illegal immigration by building a wall on our southern border that Mexico will pay for,” over footage showing a mass of people streaming across the border. 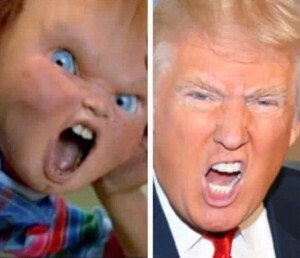 Seen this Movie Before But Republicans have a long tradition of staged border footage. Indeed, the very first political ad ever screened was of dangerous, foreign-accented hordes streaming over the California border. Only, the hordes were really actors, the footage was shot by MGM, and it was presented to the California public not as an ad but as a documentary newsreel that was screened in virtually every movie theater in the state. The “newsreel” (actually, newsreels—there were three of them) was the linchpin of the GOP’s ultimately successful effort to defeat the 1934 gubernatorial campaign of socialist author and activist Upton Sinclair, who had stunned the state by winning that year’s Democratic gubernatorial primary and who was clearly favored to win the general election until the Republicans launched a multi-million-dollar barrage of falsifications designed to bring Sinclair down. 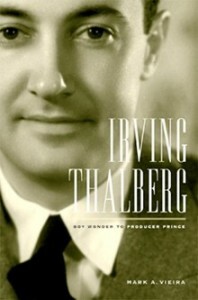 But the “newsreels,” which were commissioned by MGM studio chief Irving Thalberg, were the GOP’s?pièce de resistance. In answering a question on how he’d follow through on his pledge to create jobs in Depression-wracked California, the somewhat ethereal, political novice Sinclair had said he’d be so successful that the unemployed of other states would flock to California. The “newsreels” so enraged Sinclair supporters that arguments broke out in movie theaters across the state, and some chains stopped showing them. They also alarmed many in California’s Jewish community for their blatant use of anti-Semitic stereotypes (much as many Latinos and Muslims are alarmed today by the GOP’s descent into racist and nativist stereotypes). Some Jewish leaders condemned the studio heads (all of whom opposed Sinclair and all of whom were Jewish) as traitors to their people. History Repeats Itself The only real political difference between the 1934, 1994, and 2016 versions of the GOP’s border demagogy is that the 1934 version focused on state lines, not international borders. ?The opposition of the California right to economic migrants from other states during the Depression was every bit as intense as the Republicans’ opposition to transnational immigrants today, and the stereotyping every bit as vile. 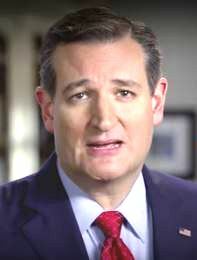 News that the loathsome Ted Cruz has rocketed to the lead in the Field Poll ahead of the noxious Donald Trump among California Republicans is mildly interesting, but not nearly as important as the findings regarding women and Latino voters of all stripes. True, Cruz has shot up to 25% from 6% in October, passing Trump at 23%, up from 17% in October. That suggests that if he holds on throughout the primary season, Cruz could try to capture a huge cache of GOP delegates from California late in the game. Of course, Trump’s campaign hasn’t befouled the Golden State yet, so who knows where things will stand by June 7. Of course, neither Cruz nor Trump nor likely any Republican stands a chance of actually winning California in the general election. That will be Hillary Clinton. (Clinton enjoys a 55%-39% favorable rating among California women voters and a 63%-29% favorable among Latinos.) But who knows – maybe California Republicans could play a role in picking their nominee if the rest of this crowd keeps beating the others’ alleged brains in. No Love for Donald: What is more important is this: the natavistic, misogynistic, narcissistic Trump is reviled by two of the most critical voting blocs in California (and U.S.) politics – women and Latinos. Trump, about whom 95% of likely voters have an opinion, is viewed unfavorably by 85% of Latinos and favorably by a measly 10%. Not too surprising for a candidate who opened his campaign with a racist attack on Mexican immigrants and whose calling card is the big fat fence he’d like Mexico to build to keep out immigrants from the south. Moreover, his unfavorable rating among women voters is 76%, compared to just 20% favorable. Of course he has insulted women from Megyn Kelly to Hillary Clinton in the most juvenile, vulgar and tasteless terms and offered exactly nothing by way of support for women’s issues. In California – as Calbuzz has noted ad nauseum – candidates who oppose a pathway to citizenship for undocumented immigrants and women’s right to choose abortion have no chance of statewide electoral success. And to the extent that California portends America’s sympathies, this bodes poorly for Trump’s chances nationwide. 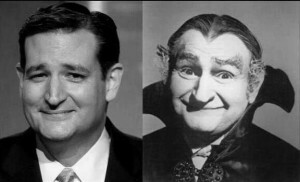 Cruz a Non-Starter: And then there’s Cruz, the Grandpa Munster doppelganger and Joe McCarthy disciple, who is slightly less reviled in California because he is less well known – by 80% — with 51% unfavorable and 29% favorable. Among Latinos, Cruz is viewed unfavorably by 51% of voters and favorably by just 19%. And among women, the Texas rattlesnake senator has a 48% unfavorable rating and a 28% favorable standing. These numbers can only grow worse for Cruz if his extremist right-wing views on immigration and abortion rights become better known to California voters. None of this may matter much because California’s presidential primaries come so late in the nominating process. What’s more instructive is how these numbers reflect on the leading candidates’ appeal to two key constituencies in the popular vote. But in recent years, Republican politicians especially have not only defied the rules, they have also protected themselves from the consequences. Restrictions on voting, along with aggressive redistricting, reduce the influence of the median voter. Campaign war chests (including “super PACs”) scare off opponents, from within their own party as well as the other. By crippling civil-society institutions such as unions and community groups, which organize middle- and lower-income voters, they sometimes avoid being held accountable. They can use ideological media to reach mostly like-minded voters. And by recasting politics as a winner-take-all conflict between wholly incompatible ideologies and identities — as most of the presidential candidates have done — they help to closely align party and ideology, so that those who identify as Republican will always vote Republican and vice versa. When politicians know more or less who will vote and how, they can ignore most voters — including their own loyalists.